States and counties across the country are finding ways to increase the rate of child support payments. Take Michigan, for example. State officials have just announced that they will be allowing parents to pay child support through local stores such as 7-11 and Family Dollar stores. The goal is to make paying child support easier and quicker. In fact, it is the fifth state to join the store program, encouraging more payments, more frequently. The service costs $1.99 to use every time. 1. Save Time – No need to check bank accounts or manually track transactions. Stop digging through old bank statements or arguing with the other parent over how much is owed. Automate the process of tracking expenses, providing receipts, calculating how much is owed and making payments. SupportPay keeps child support payment history and detailed child support records that can be accessed at any time. Just think of how much time and energy you will save. 2. 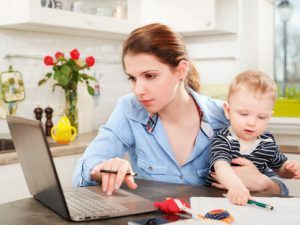 Both Parents Not Needed – Although the greatest power of SupportPay lies in the automation of payments and expenses between parents, the system can be used by a single parent to track activities, without requiring the other party to participate. Keep a record of payments, communications, documents and more all time-stamped and stored for future reference. You can use these records in legal discussions with judges, lawyers and mediators to provide third party proof of your activities. 3. Save Money – See where your money is going while easily sharing this information with the other parent. You no longer have to pay expensive legal fees or use third party services to exchange payments. And you both can be assured that your children are getting their financial needs met. We have a tutorial program, also free and no hassle, that will allow you to take full advantage of our tool. Sign up for free today and find the safest, most secure way to pay child support.